Most people dread the winter with a loathing as deep as the snows that it dumps upon us. Myself? I eagery await the coming frost with open arms. What’s the difference here? It’s mostly knowledge. This is my guide to making the most out of winter, and learning to love it. That’s the real question here. Why get outside when it’s cold? Well, for one, you don’t have to be cold. You can be warm and happy year round. And there is more about that below. 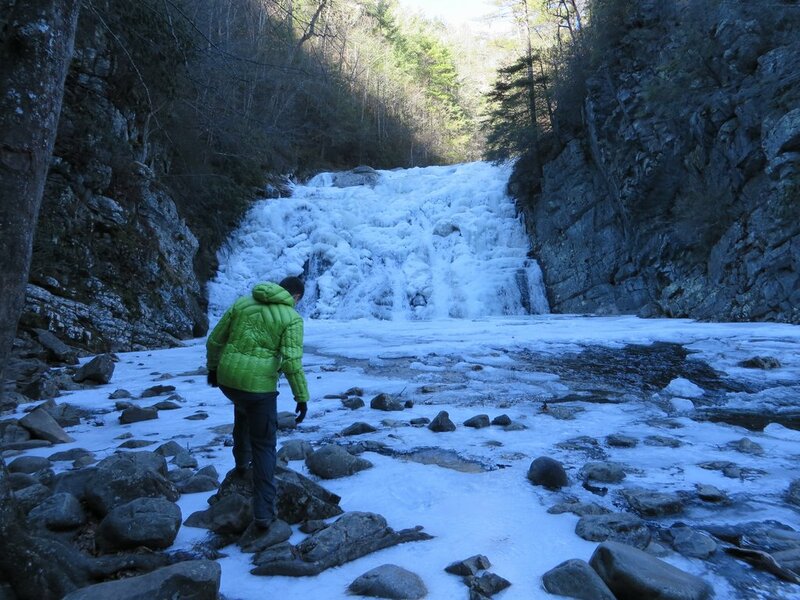 Secondly, the winter brings about some of the most enjoyable backpacking and hiking conditions. The crowds disappear, many pesky permit system fall out of effect, more available camping spots, better views without the leaves in the way, and no bugs or snakes. Not to mention, the chance to camp in the snow! Finally, staying active year round means a better overall fitness level when spring makes it way back around. Instead of huffing and puffing, you’ll be fit and ready to conquer the big mountains. It’s amazing what happens to a fit body over a winter of hibernation. Let’s start out with the most important issue. I’ve noticed over the years that most people who complain about the winter the most are those who simply don’t know how to dress for it. Hoodies and jeans simply aren’t going to cut it. If you’re dressed poorly, you will be cold and you will be miserable. The idea here is to dress in layers, adding layers as you get cold, and removing layers as you heat up. My general rule is to carry a thermal layer, a shirt, a mid layer, and out layer, and a puffy jacket along with a pair of light and heavy gloves. Avoid slow drying materials such as cotton, as they will slowly release your body heat to the earth as they dry. Heavy wool socks go a long way, and waterproof layers are priceless as staying dry is your first defense against hypothermia. My full guide to dressing for the winter conditions can be found below. This simple layering method allows you to be comfortable in practically any condition, and it’s the largest factor that affects how people perceive and enjoy winter. A quality sleeping bag and an insulated sleeping pad goes a long way. Make sure anything you’re using is of high quality, as a deflated pad is a serious problem in the winter. Also make sure that both are rated for temperatures below what you expect to come across. If you’re cold, you won’t sleep well, and that makes for a terrible experience. Packing in a foam sleeping pad also will not only provide more warmth, but serve as a backup in case your inflatable fails. 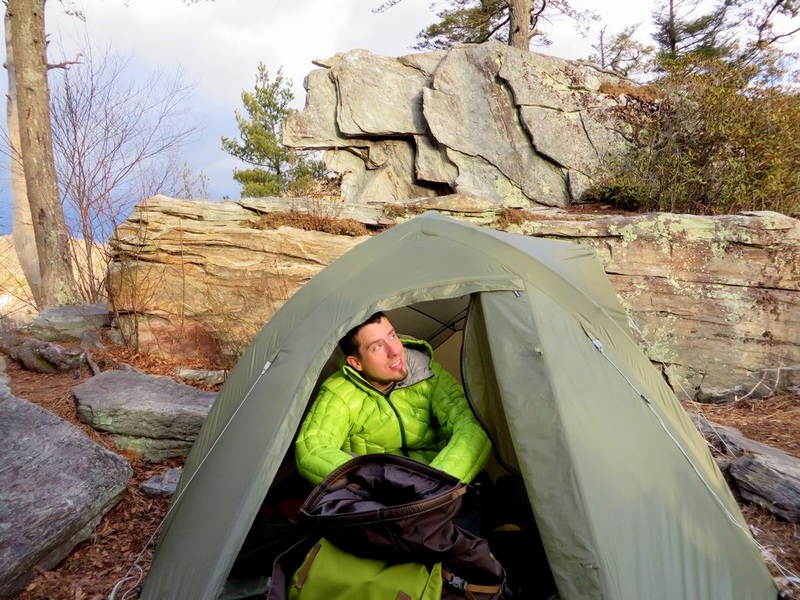 A few of my favorite sleeping bags and pads are the Nemo Nocturne, Sierra Designs Mobile mummy, Thermarest Prolite Plus, and the Thermarest Z-lite. Don’t forget to calculate in elevation changes, because as you gain elevation the temperatures will drop. Do know that the weatherman lies through his teeth, and will kill you. He wants nothing more than to wreck your weekend and to apply copious amounts of frost bite to your phalanges. Always assume the weather will be worse than forecasted, as forecasts don’t consider the woods. A good tent will also make a difference. 3 season tents are great for ventilation, but are generally terrible at stopping a breeze from flowing through, stripping the tent of warmth. A 4 season tent is designed to provide shelter from the cold, even if they’re not necessarily designed to insulate. I’ve felt a 10 to 20 degree difference from the outside in a good 4 season tent. Although, some companies are now making 3 season tents designed to be warmer, and even 3+ season tents. A specialized shelter is worth considering. 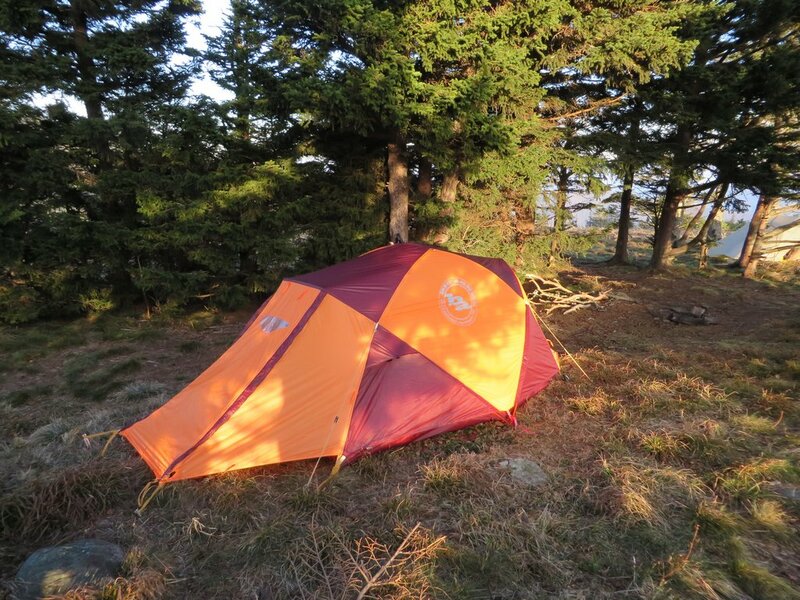 Good examples of warmer tents are the Big Agnes Slater (review incoming), the Big Agnes Battle Mountain, and the REI Arete ASL (review also incoming). Often overlooked is the impact of metabolism on the body’s ability to stay warm. You can get by on carbs and sugar, but to truly stay warm, especially during the night, you’re going to need a blend of carbs, sugars, and especially fats. Fats will give you that slow burn that will produce heat for hours, even while you sleep. Carbs and sugars are great for getting the body temperature up quick (hot cocoa anyone?) but it will burn off quickly and eventually leave you feeling empty. So, supplement your meals with fats any way you can. Peanut powder in your oatmeal, peanut butter cups before bed, olive oil in your meals, and meats if you can make it work. It might not be a lean diet, but you’re not worrying about lean when your body is burning through thousands of calories per day just to produce enough heat to keep your body temperature stable. So eat heavy, eat often, and eat plenty. Yeah yeah, I know. Backpacking is supposed to be that time when you get away from it all and you do nothing but stare at the trees right? Well, that doesn’t quite cut it when it’s dark from 6pm to 7am. That’s a long time to be inside your tent hiding away. My recommendation? Bring some fun. I know it’s practically a sin, but I bring a Nintendo 3DS and/or an E reader and some headphones. Reading a traditional book is great, and more often considered in line with classical backpacking principles, but they’re heavy and they’re limited. If you’re going to be entertained by something, it doesn’t matter if it’s paper or an led. Either way, you’re not in the moment. When hour 6 of darkness inside a tent rolls around, especially if I can’t sleep, I suddenly don’t feel like I’m breaking the rules anymore. The only part I don’t enjoy about winter backpacking is the long nights. There isn’t much to do (see above) when you’re at camp past 6. Who says you need to be at camp during the night? flip your trip. Hitting the trail at night is a great way to mix things up, and you’ll be moving during the time that is typically associated with down time. Many times I won’t even hit the trail until night fall, hike until 9 or 10 pm and I’ll be snuggled up inside my tent only a hour or so before falling asleep. Then, waking up early with the sun to maximize sunlight usage, I’ll hit the trail again and be home by dark. It’s a great way to avoid the monotony of long nights in camp. 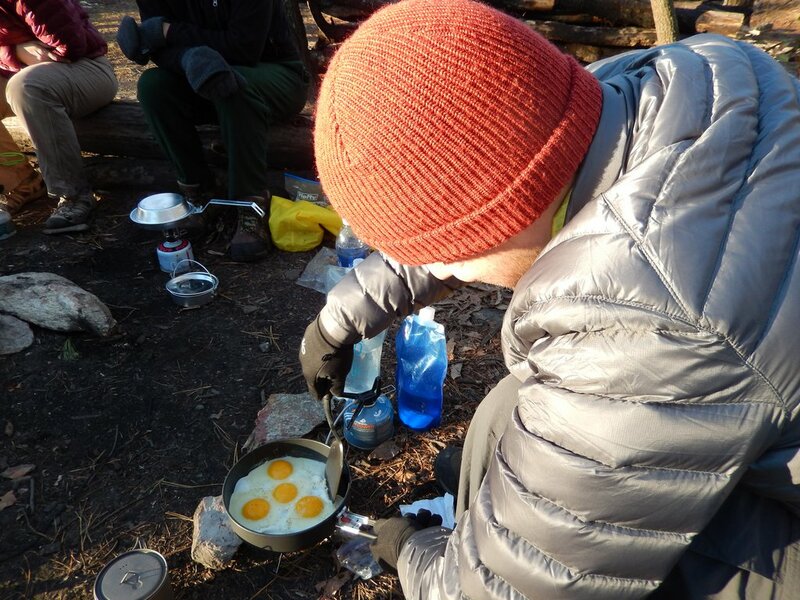 A few other quick tips to improve your overall experience include hot water filled water bottles in your sleeping bag, Hot Hands hand warmers, and camping with plenty of coverage around you, avoiding the lowest of a valley (where the cold air settles) and the peaks where high elevation strips the air of its heat. Anything I missed? Let me know about it below. Thanks for reading. Now get out there, and stay warm. I wish you luck! It’s an amazing experience if you go at it right. Thanks for reading!